The Ballantyne neighborhood of Charlotte sits on land that used to be the Morrison hunting preserve. The 2,000-acre development is practically a town unto itself. Within its borders are a 535-acre corporate park, which includes office buildings, a resort hotel, an 18-hole, daily-fee golf course and the Dana Rader School of Golf. The Ballantyne area refers to the South Charlotte area that sits outside of the 485-loop between Rea Rd. to the east and Pineville to the west. From Uptown you can take I-77 South to the 485 Outer Loop and take the Johnston Road (521) exit South to hit the heart of the Ballantyne Area. Housing prices in Ballantyne, which is part of Charlotte's Area 5 real estate location, range from $150,000 to well over $1 million with many communities priced between $300,000 - $500,000. This is one of the more expensive areas in Charlotte to live in. Some of the more notable subdivisions within Ballantyne include: Allyson Park, Amberleigh, Ballantyne Country Club, Ballantyne Meadows, Bridgehampton, Carlyle, Edinburgh, Highgrove, Kenilworth, Kingsley, Kingston Forest, Lansford, Mitchell Glen, Kensington at Ballantyne, Providence Pointe, Providence West, Southhampton Commons, Stonebriar, Thornhill, Vineyard, Weston Glen and Wynridge Estates. Ballantyne is quickly becoming host to some of the finest dining experiences in Charlotte, with restaurants designed to fit just about any occasion and taste. The second location of the Charlotte favorite opened in Ballantyne in July 2009. The second location of this Charlotte staple opened in 2006 and features live entertainment seven nights a week. Shopping and Ballantyne go hand in hand, and Ballantyne Village is one of the area's most popular shopping spots. Ballanytne Village is host to a variety of shops and restaurants including Table Restaurant, the sister restaurant to Uptown's Blue which is a favorite of Charlotte theatre-goers. Johnston Road & Ballantyne Commons Pkwy. 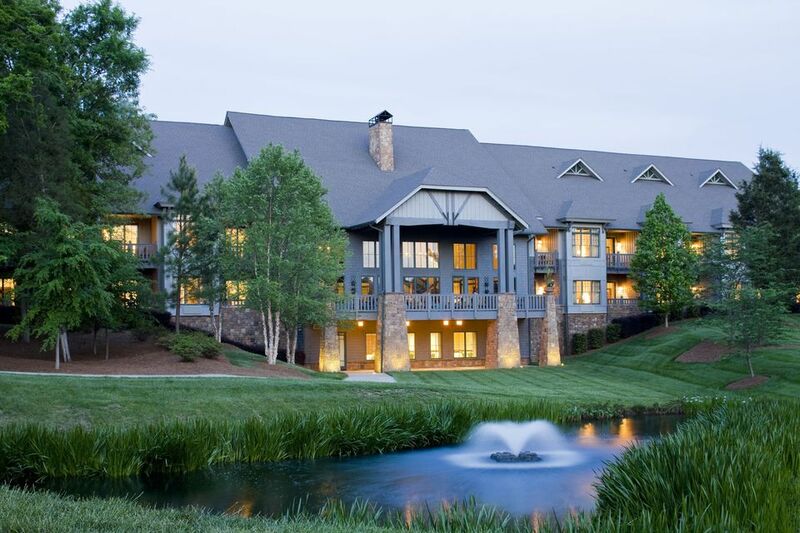 The Ballantyne Resort and Spa is great retreat for either an in-town escape or pampering an out of town visitor, and there are plenty of nice accommodations for visiting friends and family or business associates if you want to make sure they're taken care of. You won't find much of a nicer spot in the city of Charlotte.